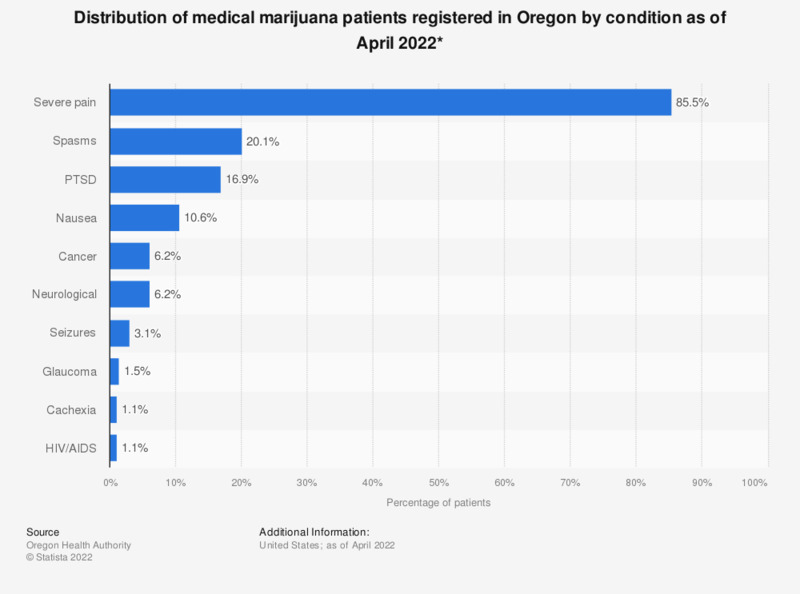 This graph shows the percentage of registered medical marijuana patients in the U.S. state of Oregon as of April 2018, by condition. Medical marijuana patients in Oregon treated for severe pain made up the majority of all conditions treated with medical marijuana in the state. * Conditions are not mutually exclusive; one patient may report one or more conditions.